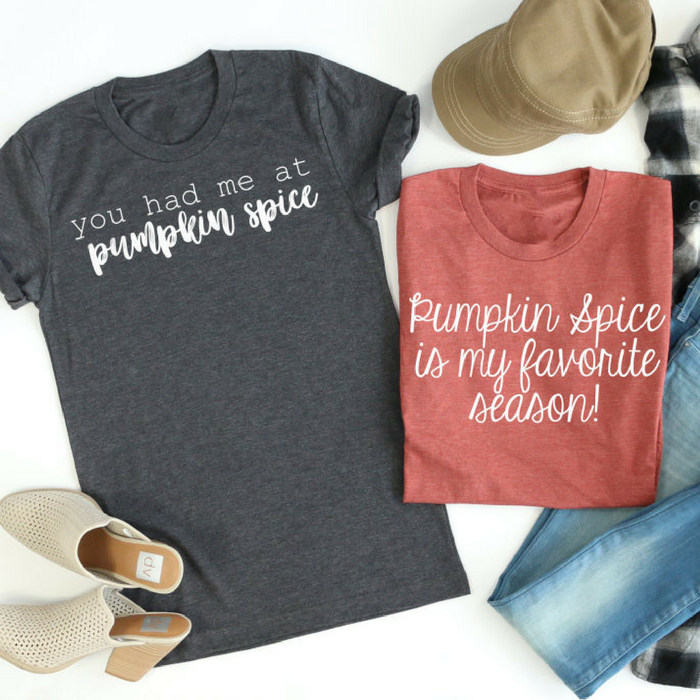 Pumpkin Spice Tees Just $13.99! Down From $28! You are here: Home / Instagram / Pumpkin Spice Tees Just $13.99! Down From $28! Jane has this fun Pumpkin Spice Tees for just $13.99 down from $27.99! Shipping is $3.99 for the first item and $1.99 for each additional item! It’s that time of the year when you crave everything pumpkin spice! These tees are perfect for fall and make the perfect outfit. Wear it with a cardigan or scarf, skinnies, and boots! It’s also available in different colors and prints! This would surely look great on you!